French breed, slow growth chickens. Maple Hill Farms Free-Run and Certified Organic Free-Run Eggs are produced by hens which have the best quality of life the farm can give them. Laying hens are completely cage-free. 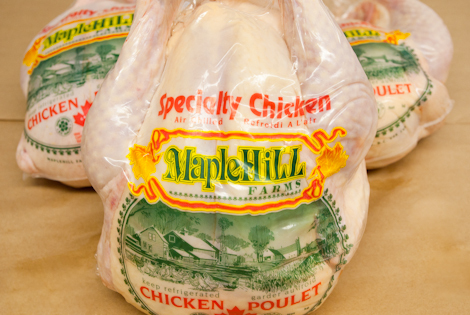 The combination of a stress free environment and natural diet give the Maple Hill chicken a rich full flavoured taste unlike the mass produced poultry sold in supermarkets.